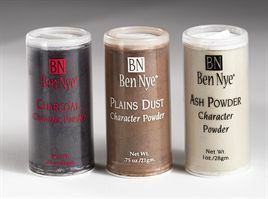 Distress characters and weather costumes with these three realistic pigment powders. Character Powders cling to skin, yet wash off easily. Test on fabric before use. Great for pirates, peasants, ruffians, and townspeople.